In this day and age of social networking, it~s not enough to be internet savvy but being socially conscience about your surroundings gets you kudos! 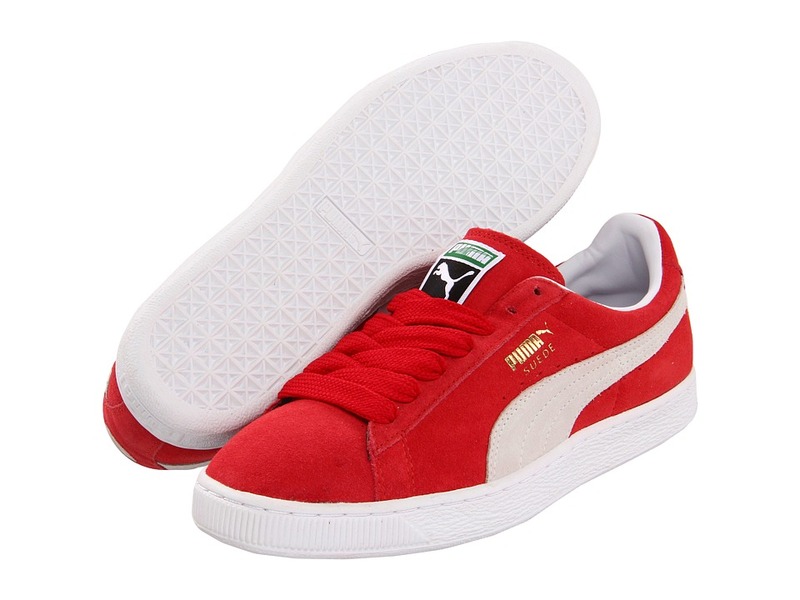 Get that old-school look with all the modern enhancements with the Suede Classic sneakers from PUMA on your feet! Soft, comfortable suede uppers. Foam-padded collar and tongue offer a great fit. Laces made from recycled materials. Textile lining and a cushioned sockliner for comfort and added cushioning. Ribbed toe bumper with signature PUMA 360&amp#176 stitching detail. Rubber midsole provides ample cushioning and a great ride. Rubber outsole for grip. Measurements: Weight: 1 lb Product measurements were taken using size Men~s 11.5, width Medium. Please note that measurements may vary by size. Weight of footwear is based on a single item, not a pair.